Bargains Galore! Wahoo! The greatest yard sale event that I know about. Every year we head out without a real plan and only vague ideas of what we are looking for and every year we make it home with treasures to treasure and stories to tell. 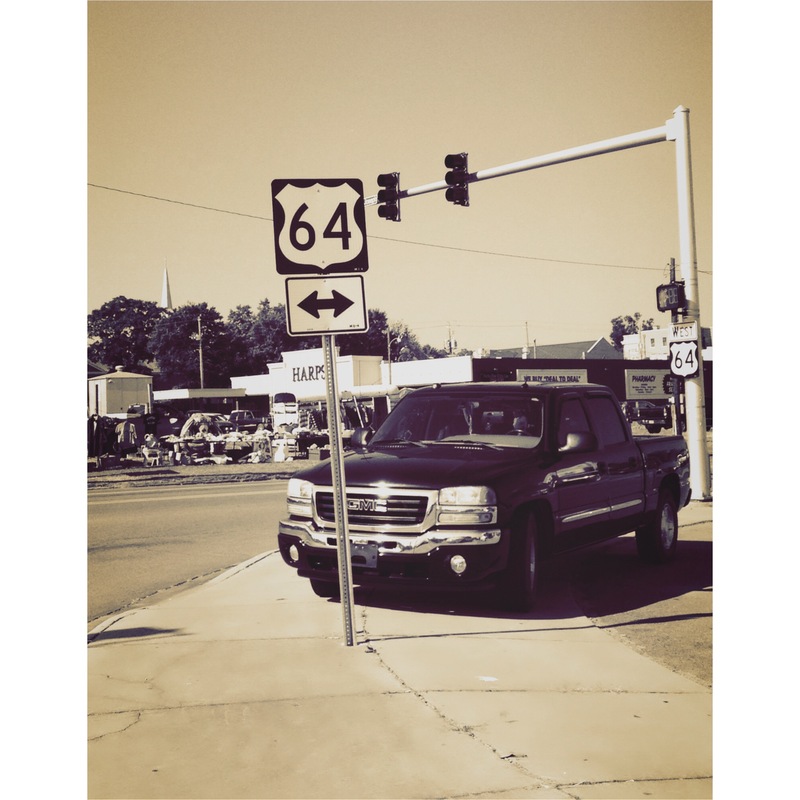 Bargains Galore On 64 has been going on for 16 years. It starts in Fort Smith, AR and ends in Beebe, AR. 160 miles of pure junk heaven. 3. With all of the horse trailers, you’d think the rodeo was in town. Except that no one is hauling horses around. 4. Free puppies should be placed up front so bypassing that particular yard sale is an easy decision. 6. People really do come from all over. Tennessee was well represented but we also saw Wisconsin and New Jersey plates. Witnesses to the greatest redneck outing this side of the Mississippi. 7. Most people drive sensible vehicles for yard saling (saling isn’t a word…pfffttt yes it is!) Anywho, some folks take this opportunity to break out the ole’ muscle car or flashy pickup to cruise and be seen. Oh we see you:). I’m thinking where in the world are you going to put your treasures? Oh well. 8. Parking on the side of the road with your tire over the white line is totally cool with everyone…no it’s not so don’t do that. 9. 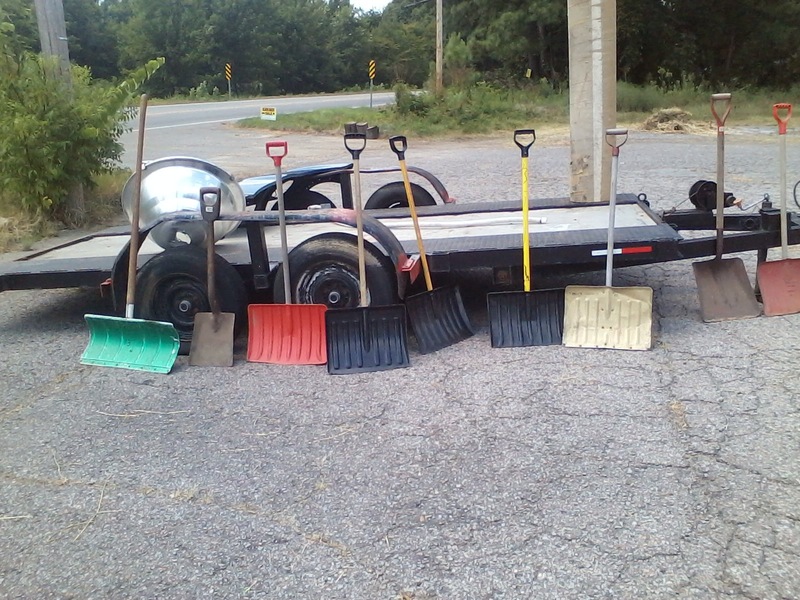 Selling snow shovels in the middle of Arkansas is not a very bright idea. I understand that they could double as muck shovels but they were advertised as snow shovels. Maybe that’s what those Wisconsin folks went back with? We had a great day. Came back with a pile of clothes for our little Moonpie, minus a clown costume that our Farm Girl was convinced the baby needed. No, thank you. Bangle bracelets and fish rocks and alarm clocks, Oh My! Did I buy any books that I don’t need? Yes. A rather old copy of Beezus and Ramona by Beverly Cleary. It has an orange cover and I’ve never seen one like it, okay? !